Well, our heirloom tomatoes are bumper right now, so the obvious thing to do is make sauce with everything from the garden. First we collected a whole bunch of these guys, and some of the garlic that’s been drying in the barn. 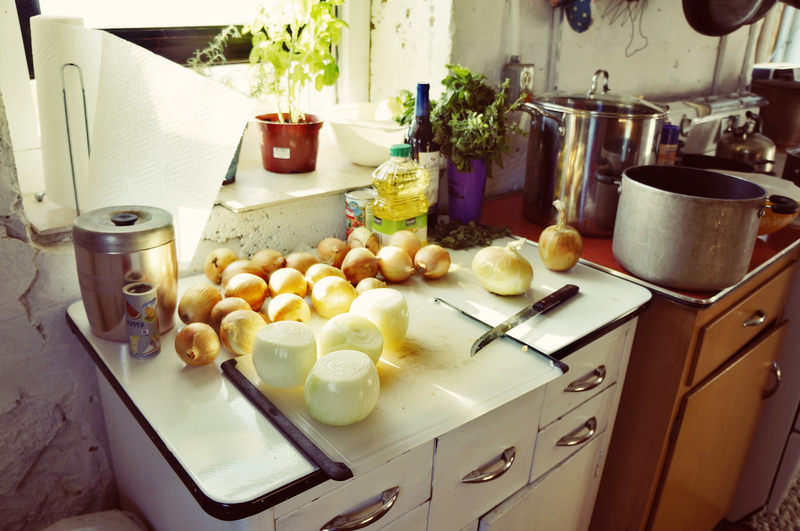 And some of the onions. So much crying in the kitchen (although now nearly as much as when we were digging up the scallions earlier this week. I thought I was dying). 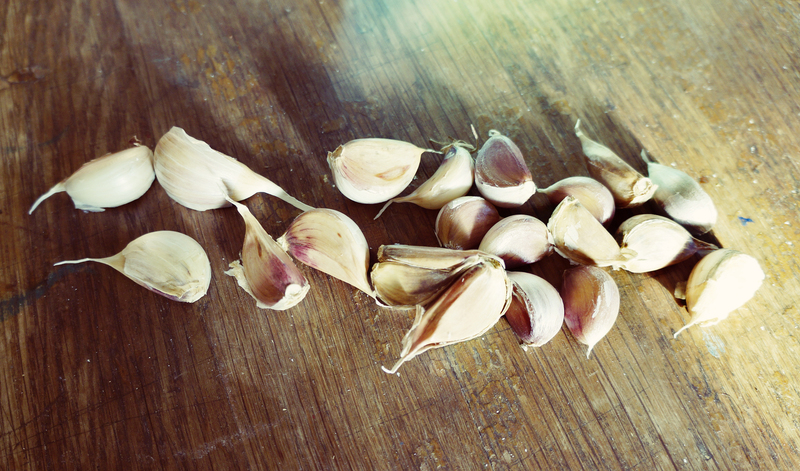 Twenty cloves of garlic for our four batches of sauce. 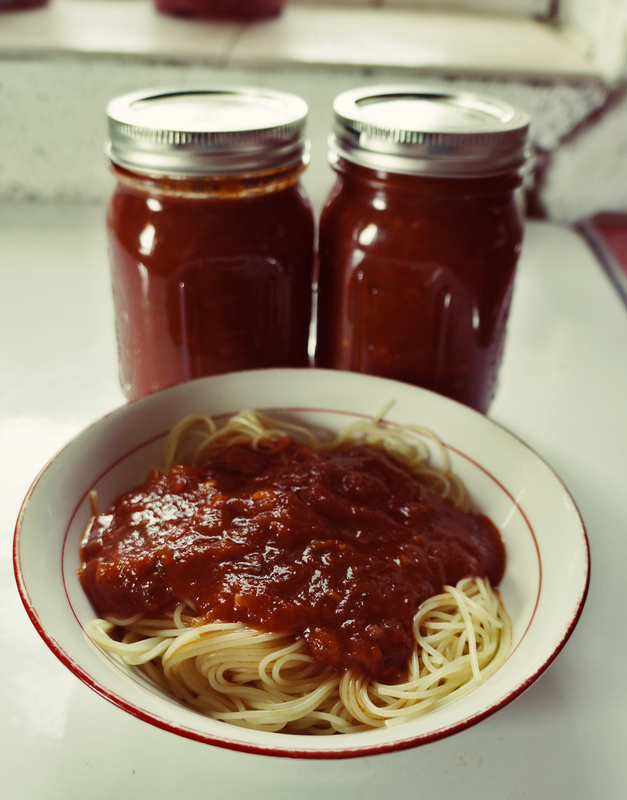 Kim made three batches, since she’s freezing most of it, and I made one, since I’m a new-sauce-maker and I didn’t want to ruin a million jars, just in case. 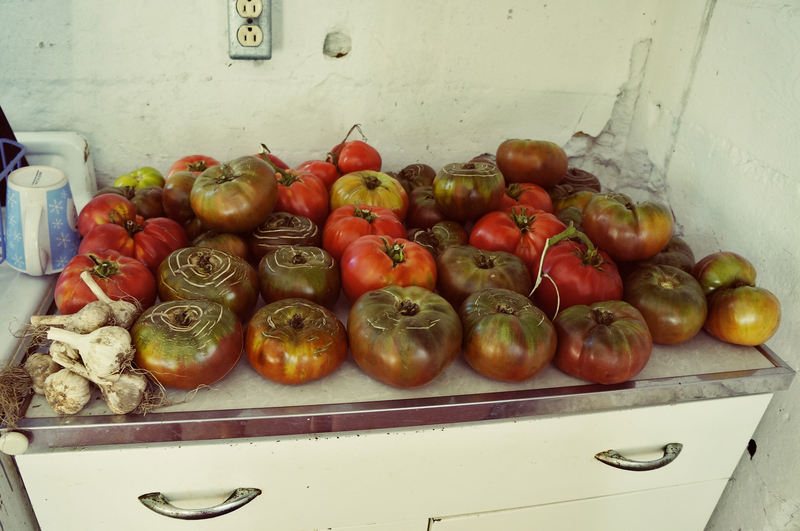 First we had to peel all the tomatoes (48 tomatoes!) 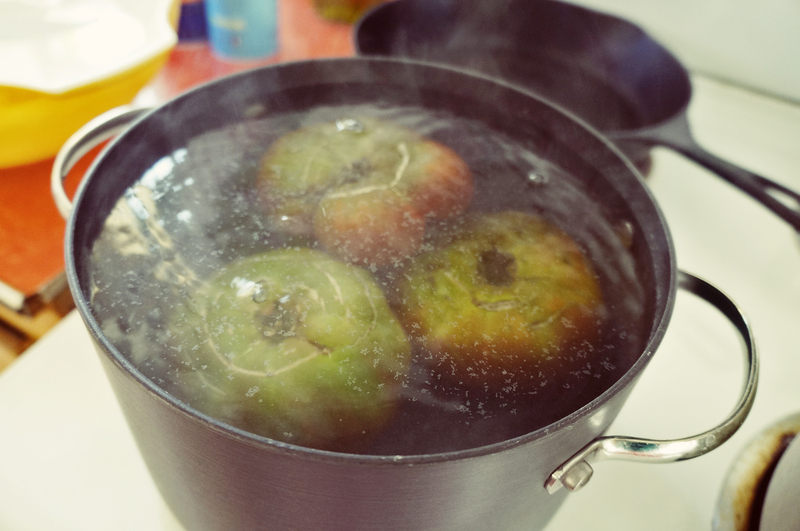 so we dropped them all in boiling water for less than a minute, then dunked them in ice water. That makes the skin split so they can be peeled easily. 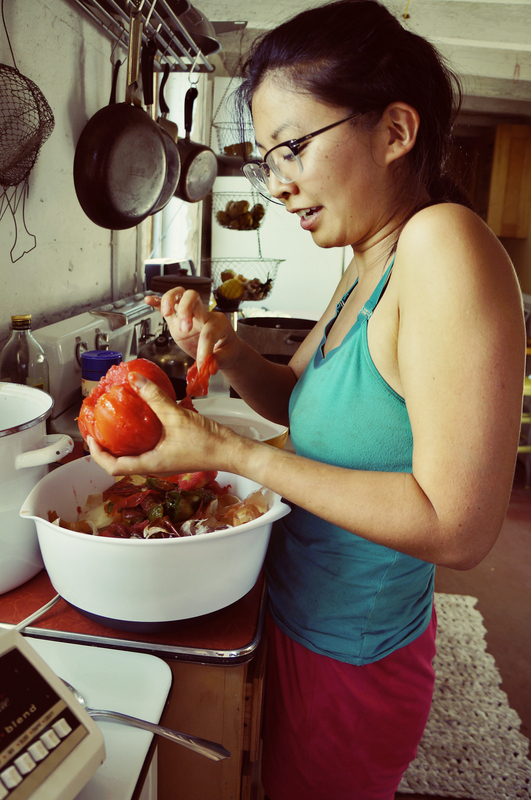 Peeling and coring all those tomatoes. 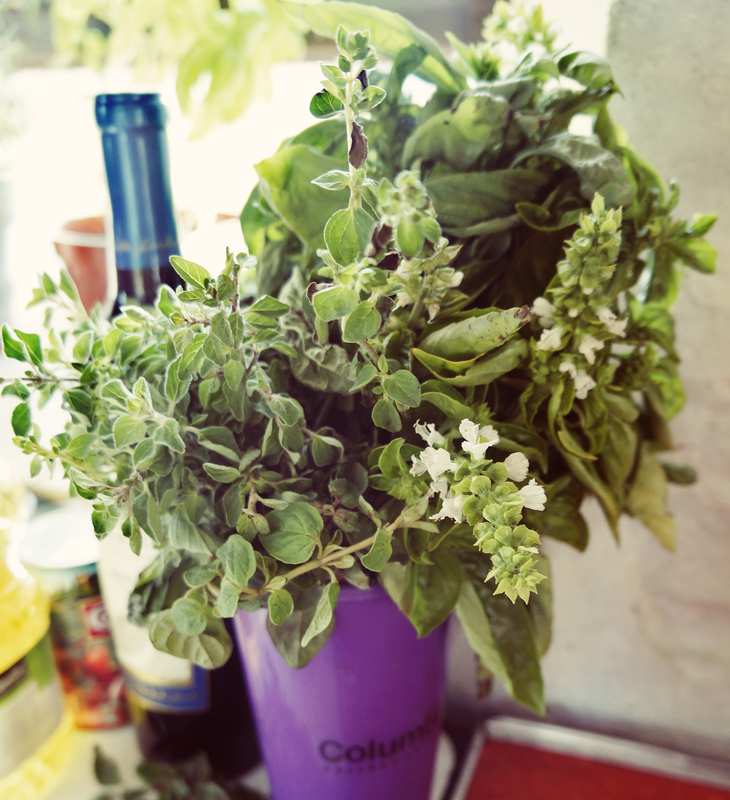 Chopping up the oregano and basil– so much prettier when it’s not dried and in those little red shakers! 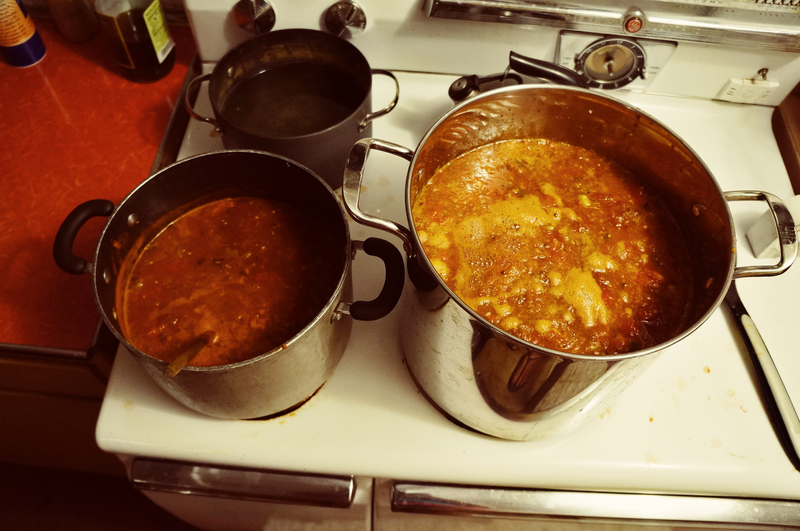 The sauce had to simmer for two hours, then we added a bit of brown sugar and merlot, and then simmer for another hour. 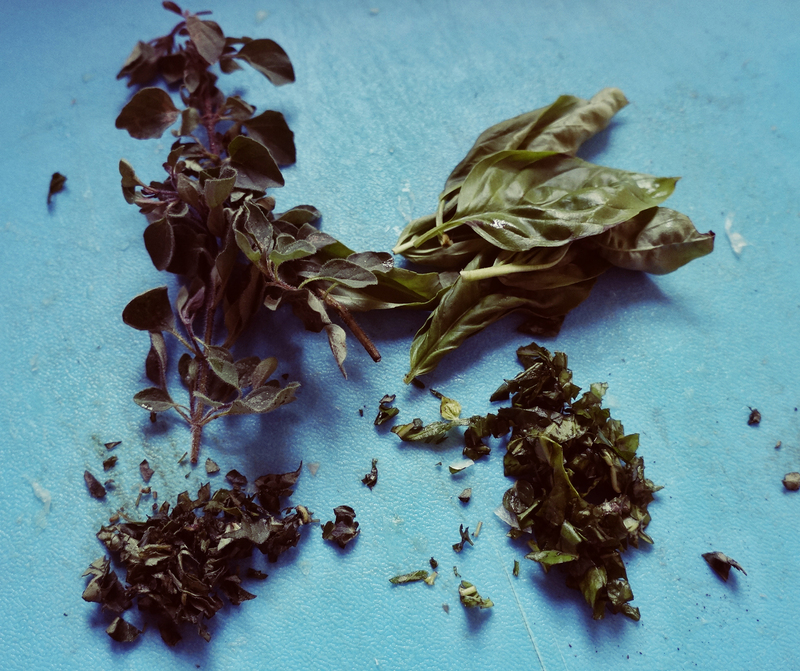 In total, including the chopping and prepping time, it was a five hour ordeal. After we let it sit overnight, it was finished! I got a little over five of these jars. Delish. Next PostNext Tide going out.